Your Wet Basement - Armored Basement Waterproofing, LLC. Of all the homes in the Maryland, DC, Virginia area, yours is the most important. Unfortunately, your basement is leaking, your foundation is cracking, or you have some serious drainage issues in your yard. How do you navigate the seemingly endless internet pages, websites and advertisements with companies claiming to be the right choice, or the best, or this or that? This article is designed to assist you while you protect the most important investment… your home. First, let’s talk about Negative Customer Experience. Every company worth its weight in salt can be found on Google Places, Yelp, Angie’s List, Yellow Pages and other review sites. These sites allow customers to tell their story. Although a few customers post reviews for every experience the have, the average customer only posts reviews when they have a bad experience; they want others to know how to avoid the same experience. Conversely they may not tell folks where to go for a positive experience. Instead of checking positive reviews, check the negative ones. Read the 1 Star, the E or F ratings, the failures. Seek to understand what went wrong with this customer and the business. Many times the customer did not feel valued, they felt cheated, or they felt uninformed. A company that truly values, informs, and works honestly will not have these reviews. Second, did you invite a used car salesman into your home? Salesman make money by selling you products for a commission. Higher price equals a higher commission. Many of these individuals are career salesmen. They have been employed at car lots, time share companies, cell phone stores, selling roofing, siding, windows, or insulation for your home. They come in every shape and size. Sometimes they do not wear a salesman uniform. With these simple steps you can identify a salesman and politely ask them to leave. How long have they been with the company? Why are they a new employee? Recently hired may equate to recently fired from another company. Did they find the problem or did they “just know” the solution? Do they have x-ray vision, do they have e.s.p., or did they “just guess” to generate a sale? Ask for proof that they have properly identified the problem. Third, do you feel pressured to close the deal today? Do they have special pricing that expires today? Many companies run sales specials, but isn’t it funny when you were selected for the last coupon or that the special expires today? It is no coincidence, it is dirty sales technique used by career salesmen versus a reputable company that cares about its customers. Additionally, have you spent more time at your kitchen table discussing the contract than you have in your basement investigating the problem? Salesman do not have the skills to fix your basement, they have the skill to get your signature today. Identify this person and ask them to leave your home. Fourth, do you have a gut feeling that something is not right? There is a reason you can sense when something is not right, because it isn’t right. Go with your gut feeling. Listen, if the deal is good today, it will be good tomorrow. If you feel pressured than you are most likely being pressured. If you do not think that the proposed solution will not work it may not work. Ask for a better explanation of the installation techniques and how exactly the system will work. Make a decision to go forward only when you feel it is a good decision. There is no need to take risk with your home. Fifth, is the salesman pushing you for a quick installation? There are two issues with approach. Why is a supposedly quality company booked out for weeks in the future? If other customers have not booked installations you should choose another company as well. The second issue is contract law. 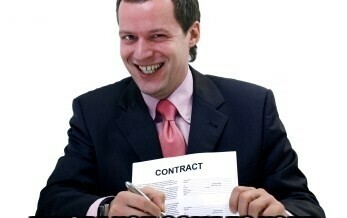 You have 3 business days to cancel a contract after you sign it. No questions asked. However, if you waive this legal and required clause and get your job installed within a few days you essentially lose time to stew on your decision. Quick installation pressure and demands to waive your contractual rights are surefire signs of career salesmen. Now that you have their profile, calibrate your “Salesmen Radar” and identify your target. They are not allowed in your home. They are not allowed to take your time. They are slick and they wish to remain in the shadows. Their number one is goal is money. Your number one goal is closely related to honesty, value, and safety in your home. These two priorities do not support each other. Do your research and good luck.